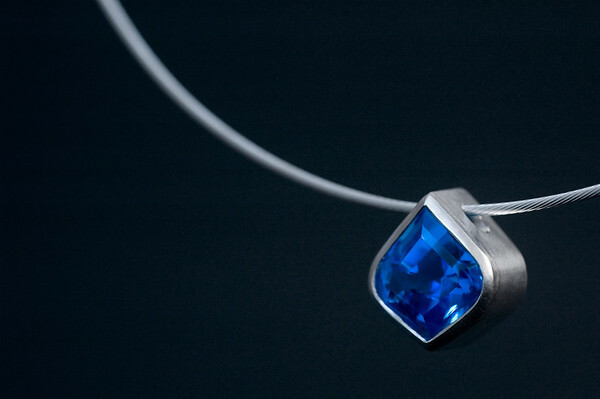 Sterling cable necklace with custom Sterling Silver bezel for a unique Blue Topaz. Archana was taking one of my classes and told me the story of this Topaz that she purchased in India. She didn't feel she had the skill yet to make this piece. She loved the unusual cut and wanted to set it herself. 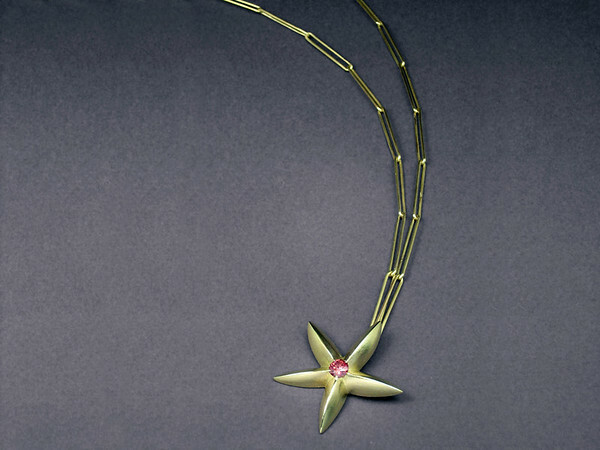 She had gone to a jeweler who told her it couldn't be made the way she wanted. She described to me exactly what she wanted and I understood immediately. Most jewelers work with ready made settings. I am trained as a goldsmith so I was able to make everything customized to match her vision exactly. Christine'r Ring needed some repairs. 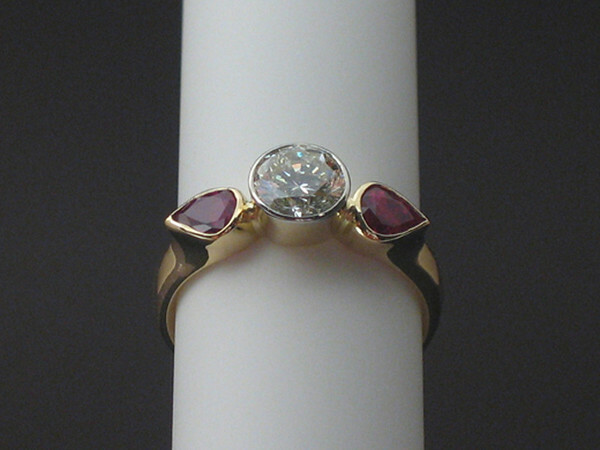 I redesigned the setting and matched the missing ruby on this 18k yellow gold engagement ring. 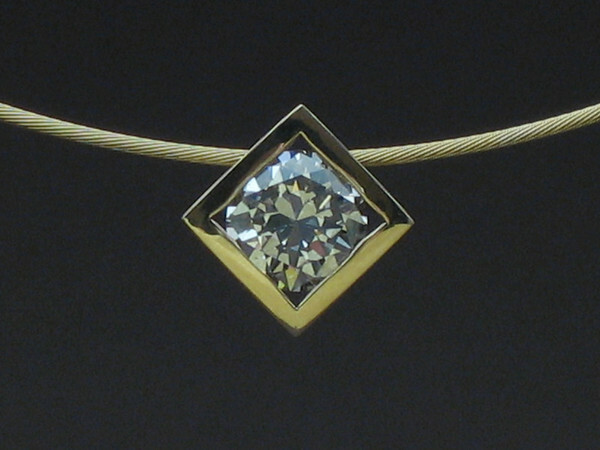 The original diamond was set in a new 14k white edged bezel. 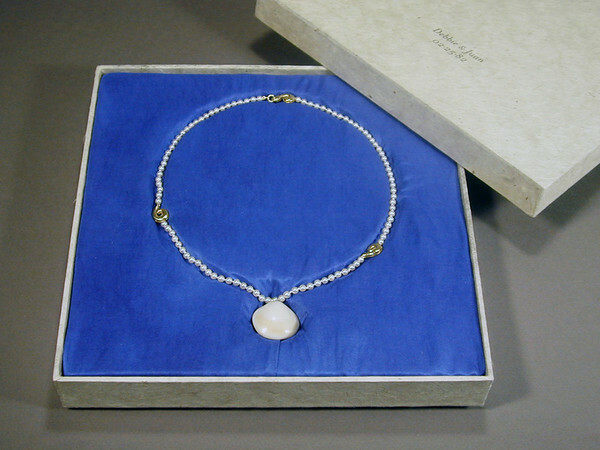 A shell she kept from the day they met is now set in this custom pearl and 18k yellow gold necklace. 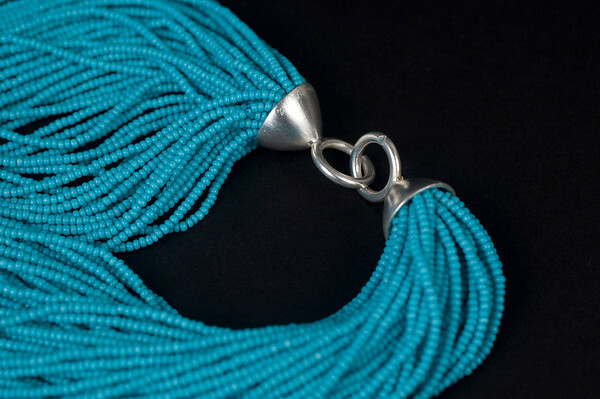 A new Sterling Silver clasp for an existing blue strand necklace. 50 strands of 2 mm beads and aprox. 28" long. 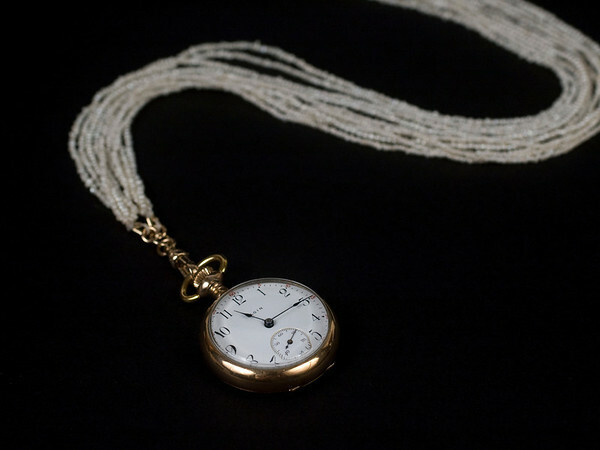 Vintage pocket watch necklace with seed pearls and gold. 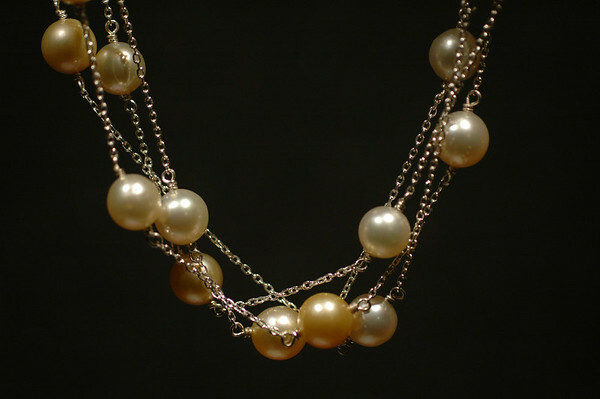 Using donated materials, this necklace was made for a fundraising auction to support the RISD Museum. Red-Brown lab created diamond provided by Gemesis. This design was inspired by star anise. The chain is available in various lengths through my store.